Driving at night without all of your exterior lighting in proper working order presents a few issues. For one thing, it can lead to costly tickets from law enforcement. But the most serious issue is that it is more difficult for other drivers to see you. Don’t worry though. We keep a wide variety of exterior light bulbs in stock and we are able to replace most bulbs including headlights, taillights, side marker lights, license plate lights, and more! After inspecting your vehicle’s exterior lighting, our technicians will inform you if any lights are out and will gladly replace them upon request. Have your headlights lost that brightness that they used to have? If the answers yes, then you should stop in and ask us about our headlight restoration service. Over time, weathering will cause the coating on your headlight lenses to breakdown. Our multi-step headlight restoration service removes the old coating through a wet sanding process. Once this step is completed and the lens is completely dry, we remove any further contaminants with a special alcohol pad and finish the job by spraying on a clear coat that rejuvenates and protects the lens. This service will increase your nighttime visibility by up to 50%! Don’t wait until it’s too late. Allow us to restore your headlights so you can put your mind at ease and see clearly at night. With a wiper blade selection that includes brand names such as Anco, AutoTEX, and Rain-X, there is no need to go anywhere else to have your wiper blades replaced. Stop in and one of our technicians will professionally install a set of wiper blades on your vehicle in a matter of minutes! 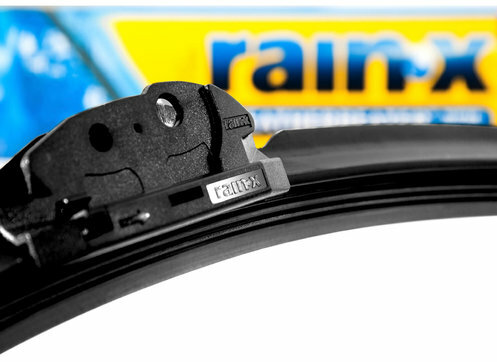 Don’t forget, we also carry many hard to find rear wiper blades!